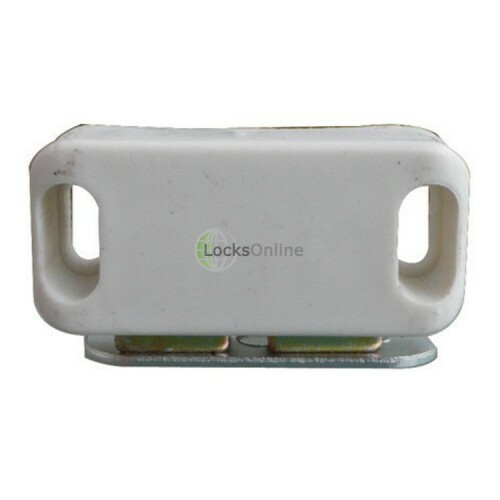 Jedo's white magnetic catch is a simple and effective passive locking solution that is designed to keep the cupboards flush when closed without applying excess force. 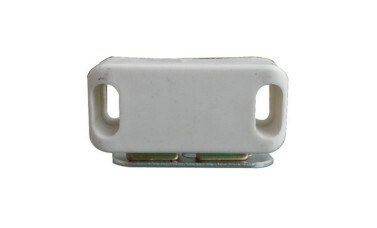 Installation of the Jedo white magnetic catch is easily performed by fixing the catch or plate to the inside of the cupboard and the back of the cupboard door. As long as they are flush facing, the magnet will create a holding force that is perfect for many cupboards across the UK.